With specialy design custom made woofer box to match the woofer design and color. 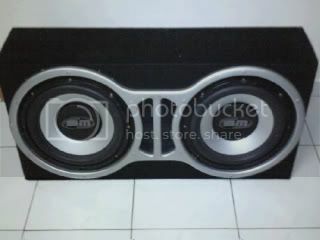 The custom box only already cost RM350, let go with 2 boschmann woofer worth rm130 1 pc. NOW SELLING RM450 only!!! Condition 2nd hand, still new and no problem. Woofer model: BMBoschmann V1240XY 12"
no box only, sell with woofer. this item was sold already rite?